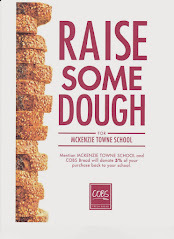 McKenzie Towne School Parent Association: Catching up before the end of the school year! Catching up before the end of the school year! This year has gone by in whirlwind of activity! It has been my pleasure to serve as your key communicator and I look forward to another years of bringing you news from our meetings. I hope to see you all at the Muffin Mixer, Thursday September 8th! Some of you have already signed up for a Casino shift in August, but there are few spots left to fill in. Sign up Genius requests will be resent this week to fill in those positions. As always, thank you for your support! You are the motion behind what makes the vehicle of school councils and parents associations work! In addition, below is the link for you to voice concerns regarding the traffic problems in front of our school as well as the concerns regarding the proposed walk zone from Prestwick to Elgin for the opening of the new middles school in January 2017. On behalf of the MTSPA, thank you for your continued support.